This entry was posted in Crossover and tagged 2012, 2013, 2014, Auto, Crossover, msrp, official, Paris, Price, Show, Toyota, Verso, £17495 on February 20, 2014 by Sam. This entry was posted in Compact and tagged 2013, 2014, Highlander, NAIAS, toughlooking, Toyota, unveils on February 20, 2014 by Sam. This entry was posted in Crossover and tagged 2014, Dodge, Durango, Limited, Review, Road, Test on February 20, 2014 by Sam. 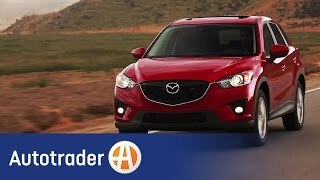 This entry was posted in Crossover and tagged 2014, AutoTrader.com, Mazda, Reasons on February 20, 2014 by Sam. This entry was posted in Large and tagged 2/4/2014, Area, BRoll, city, Evening, Kansas, Metro, Storm, Winter on February 20, 2014 by Sam. All-new 2014 Jeep Cherokee: No-compromise Mid-size SUV Sets a New Standard. This entry was posted in Midsize and tagged 2014, AllNew, Auto, Cherokee, Debuts, Jeep, Show, York on February 20, 2014 by Sam.